Dr. Canfield graduated from Indiana University School of Dentistry, with honors for high scores on the National Board Examinations. In 2002, he helped open “Emergency Dental” in Indianapolis, which was the pilot office for the office chain now known as Immediadent. 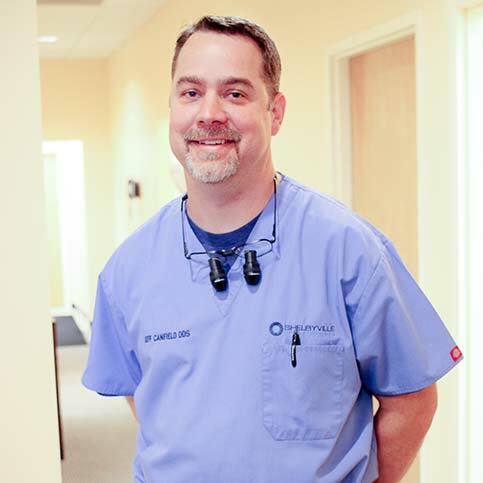 The following year, Dr. Canfield opened his own practice, Southside Urgent Dental Care, which he sold in 2012. 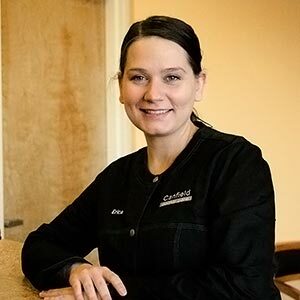 In 2013, Dr. Canfield opened Shelbyville Oral Surgery, and in 2014, he opened Canfield Dental Care, where he expanded his dental practice to include general dentistry. Dr. Canfield enjoys growing and jarring tomatoes and peppers, taking care of his kids, and watching old Law and Order episodes with his wife, Kathy. He also coaches soccer for the Franklin Township Soccer Club.